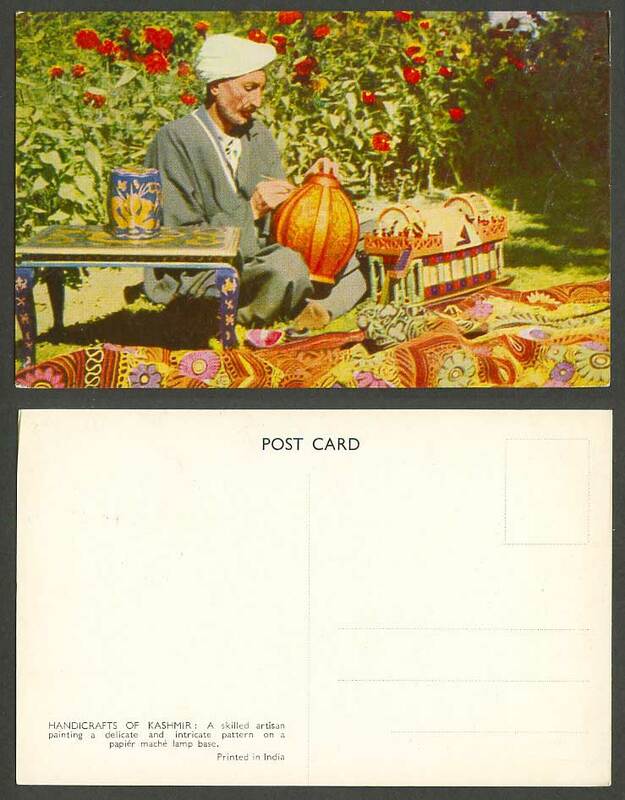 Vintage Old Colour Indian Postcard. India, Ethnic Life. Handicrafts of Kashmir. Native. A skilled artisan painting a delicate and intricate pattern on a papier mache lamp base. Printed in India. Flowers.